Melinda Sammis specializes in divorce litigation, mediation consultation, and the drafting of complex pre and postmarital agreements. Melinda is a California State Bar Certified Family Law Specialist. Melinda is currently serving as the Associate Chapter Director of the Association of Certified Family Law Specialists (ACFLS). She also serves on two committees of the California Lawyers Association (CLA). 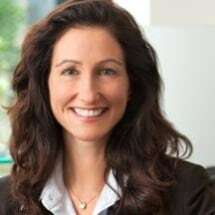 As an Advisor to the State Bar's Executive Committee on Family Law (FLEXCOM), Melinda is responsible for commenting on pending family law legislation in the State of California, including appearing in Sacramento to consult on changes to pending legislation. Melinda was a Member of FLEXCOM from 2013-2016 and served as Chair of the Education Committee. Melinda regularly acts as a Settlement Master and Attorney for the Day for the San Francisco Superior Court. Melinda has also guest lectured at Hastings College of the Law. Prior to joining the firm, Melinda earned recognition for acting and public speaking. She is a member of both the Screen Actors Guild and the American Federation of Television and Radio. She has lived in Spain and speaks conversational Spanish.